It all started when a recipe for espresso martini came up on my Facebook feed the other day; a friend had shared it and it just looked so, so good, I knew I had to try one. 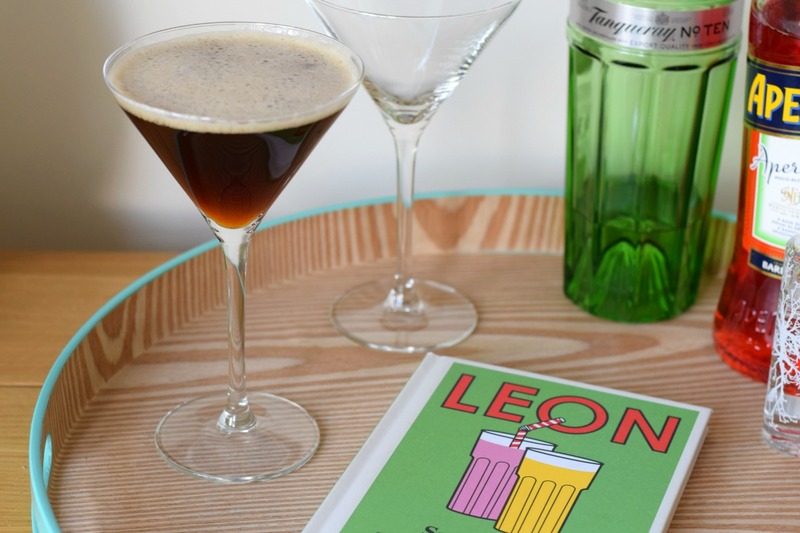 I love strong coffee – and martini – so together it had to be amazing, right? I’m not a huge maker of cocktails (i.e. 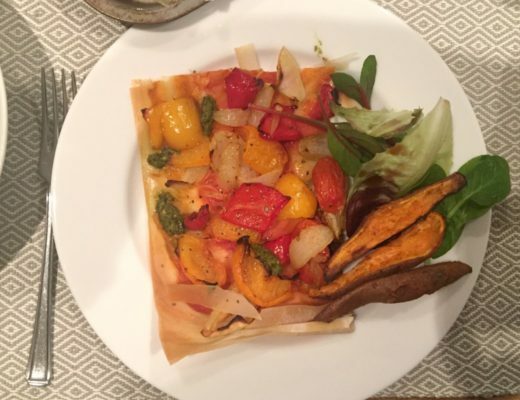 I don’t ever make them) but this one looked pretty straightforward and as I’d just been asked to see what lovely recipes I could come up with using my new Nespresso coffee machine, I decided to give it a go. 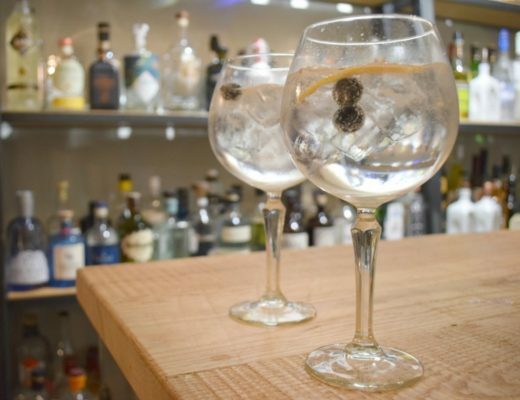 To make the martini, all I had to do was invest in a bottle of coffee liqueur – no hardship as I love Tia Maria – and as I already had some vodka, I was ready to go. A quick google of sugar syrup told me it was just a spoonful of sugar dissolved in hot water and cooled, so a really easy and inexpensive way of sweetening your cocktail and perhaps diluting it just a tiny amount. 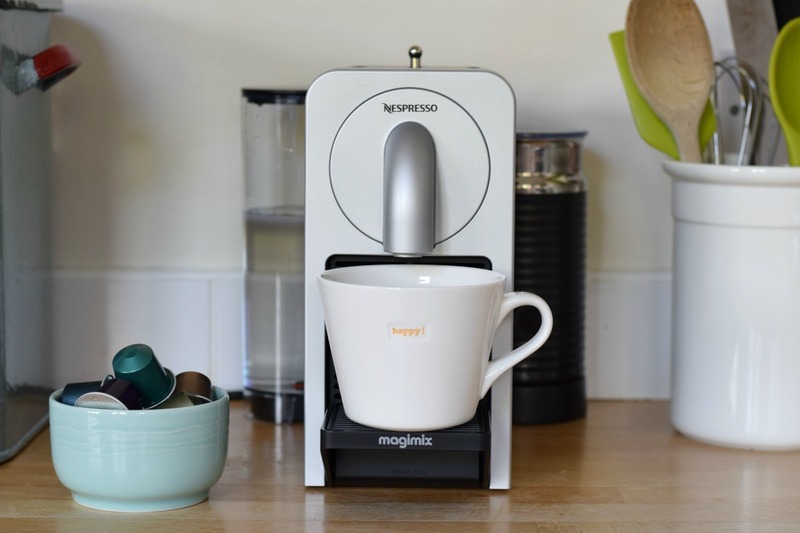 Making the coffee in the Nespresso machine couldn’t be easier. The coffee shots are measured out in little disposable pods so there’s no mess, nothing to clean, just a quick, easy coffee which tastes as good as any made by a barista. 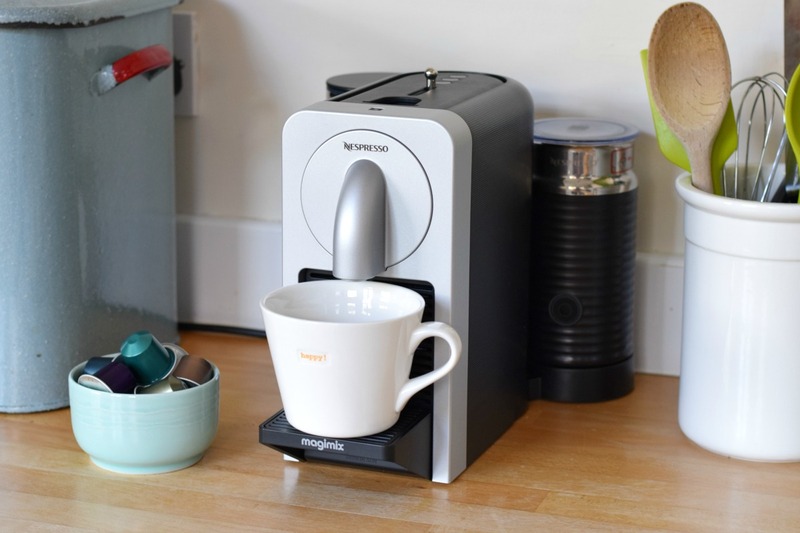 It’s so simple that my son always asks if he can make me a coffee, as he knows where to put the pod and which button to press to turn it on. He’s also just a little bit obsessed with the milk frother which sits on the side of the machine. He’s worked out how to make a babycino, and has made that his job every evening since we got the machine. The milk frother heats the milk as well as making it light and fluffy. If it’s cold milk you’re after, it can do that too, all in under two minutes. So there’s the espresso martini. The only thing I haven’t yet worked out is which is the best time of day to drink one. Too late and you’ll be awake all night, too early and well, it’s probably too early for a martini. I guess it would be perfect as an elegant aperitif or after dinner drink. As well as the martini I tried making some mini coffee and walnut loaves, just because I’ve always wanted to buy some mini loaf tins and this seemed like a good excuse to get some! 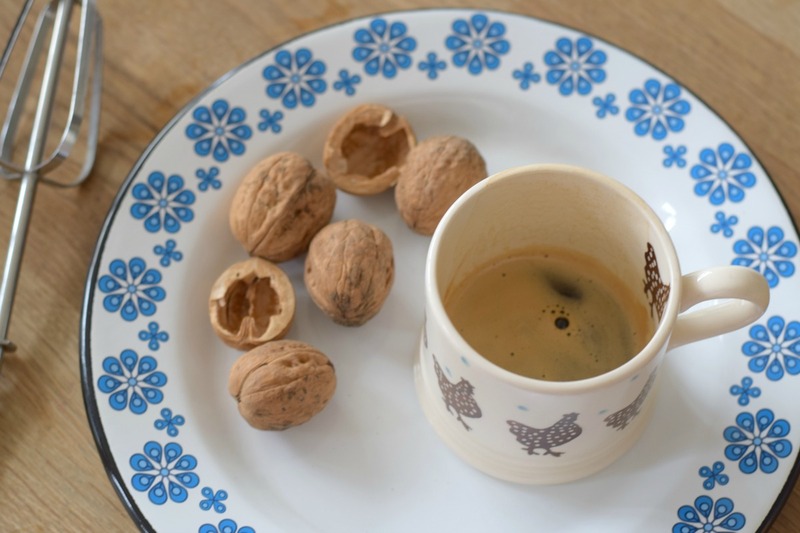 I was also sent some walnuts from Fionnuala who blogs at Three Sons Later – they are from the garden of her home in Germany, it was so lovely of her to send them so I thought I’d put them to good use. I used a twist on a basic cake recipe, and armed with a shot of espresso it didn’t take long at all. Beat the butter and both sugars together until light and creamy. Stir in the beaten eggs little by little, then add the espresso. Sift in the flour, add the salt and the walnuts, then put the mixture in your mini loaf tins, smooth the top and bake in the oven at 180C for 15 minutes. To make the buttercream, beat together 50g butter and 100g icing sugar until light and fluffy, and add in another shot of espresso. I had to add a little more icing sugar at this point as the coffee made the icing a bit too soft. 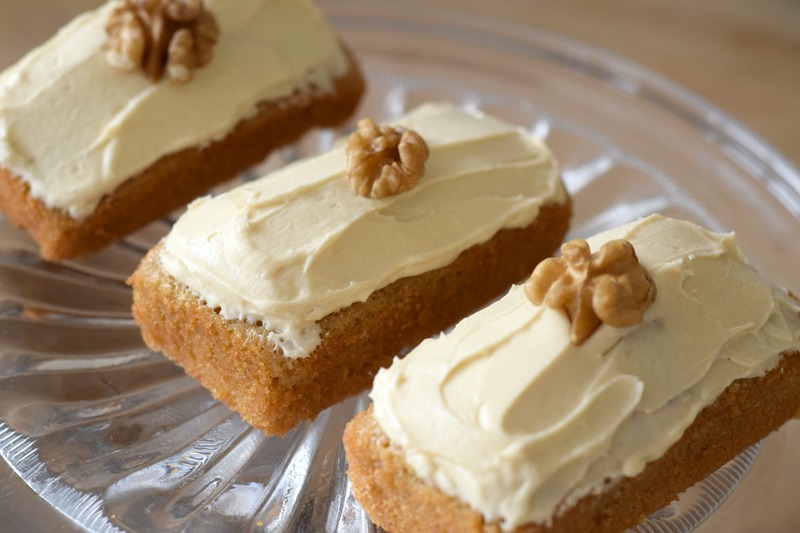 Spread the icing on the cakes, add a walnut to decorate and voila! 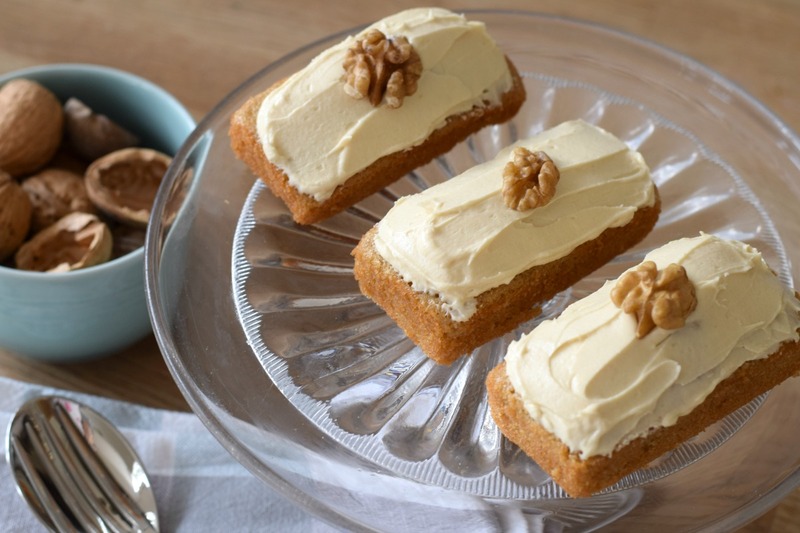 Gorgeous coffee and walnut cakes. I used some fresh coffee in the mixture and another shot in the buttercream, and I was just thinking while I iced the cakes how it might not be wise to let my two little ones eat these before bedtime! They really are so good though. What I didn’t anticipate was how tricky it would be to get the cakes out of the tin – I think next time I’ll grease them a bit more and maybe line the bases with greaseproof paper. 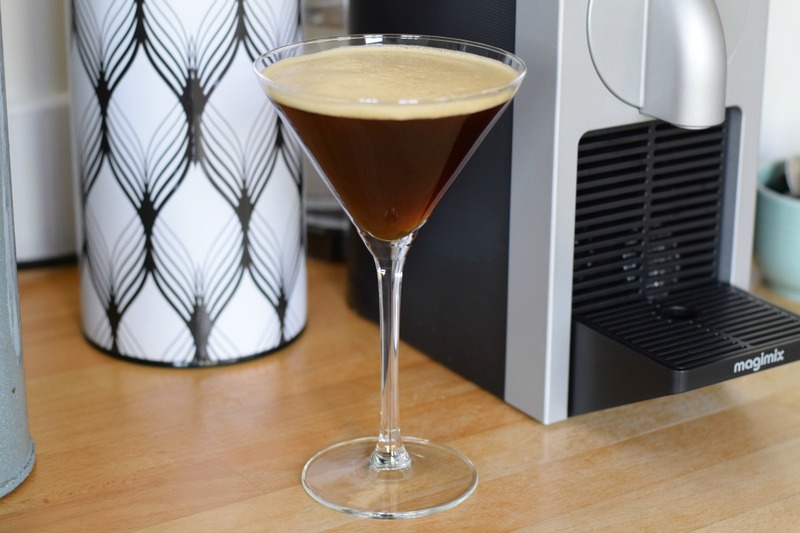 So there you are – my two favourite recipes using my new Nespresso machine. If you have a favourite coffee recipe please let me know and I might give that a go too, I’ve kind of got the bug now! 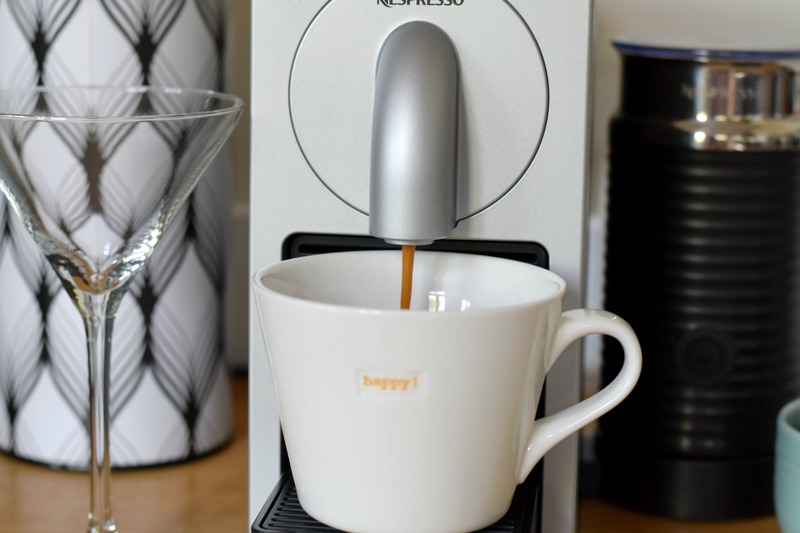 There are also lots more recipes on the Nespresso website, like Orange Blossom Cappuccino and Frozen Coconut Coffee (yum!). 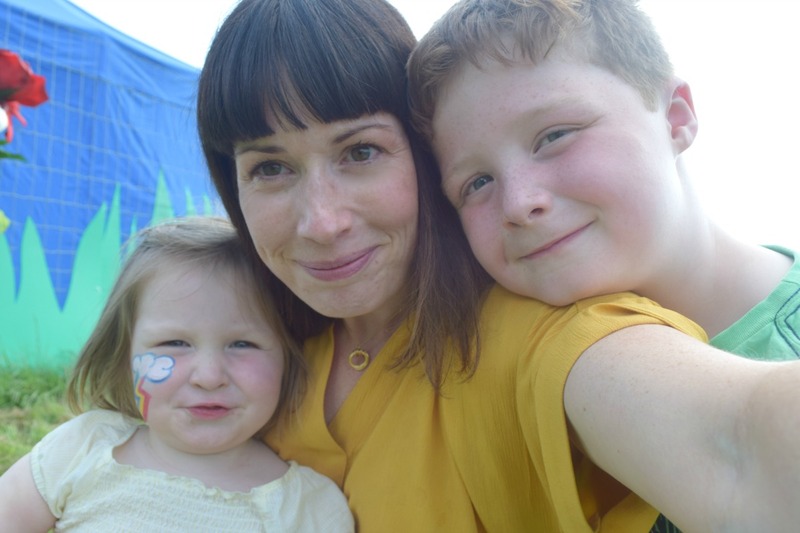 This post was written in collaboration with Debenhams. 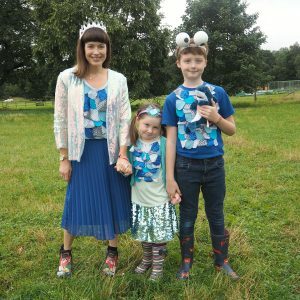 Linking this post with Marvellous Mondays at Hello Archie. That cocktail does look good! I never make them – too much faff when I could be drinking!!! I love my Nespresso machine, which I have had for about 5 years now, and I must use it to make some of those coffee and walnut loaves!! Looks like its time for a party! These drinks look and sound delicious and I’m always looking for something new to try. I’m drooling!! I need a coffee machine in my life! Yum!! On all accounts. That’s the coffee machine we had in Switzerland and I loved the milk frother too!! We need to go to Upstairs at the Grill before you move. Best espresso martinis ever! !